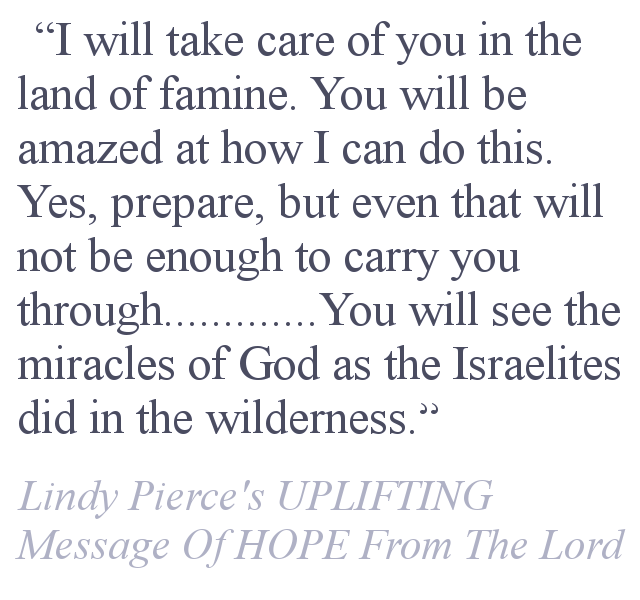 Lindy Pierce is a mother and owner of Lion of Judah Anointing Oil. 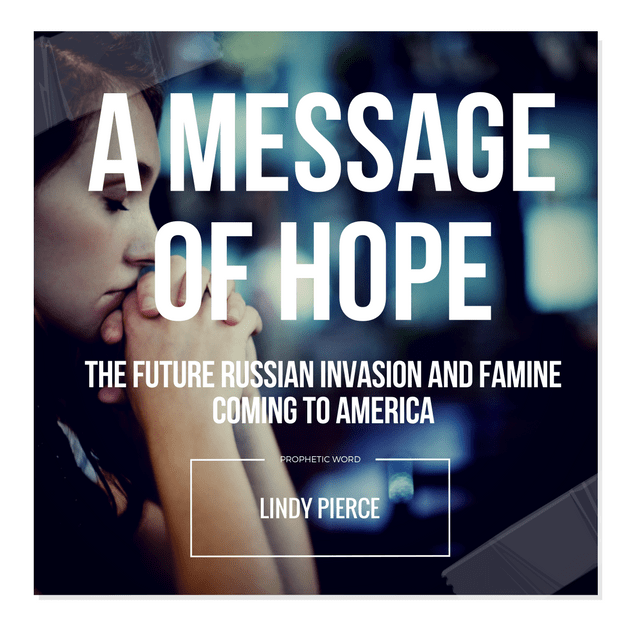 On May 6 2009, she received a word from the Lord regarding a coming military invasion of America that will bring destruction and famine. The war will be fought here in the United States. The Lord warned her that the times coming are going to be very hard, but He encouraged her and gave her hope that He was going to protect her and that she would survive the war; not only her, but also “all the others who do not cease to praise My name.” The following is the transcript of her prophetic word from the Lord. Regarding the timing, she was not given any dates. However, the Lord later showed her America will not be invaded until after we suffer an economic collapse and great earthquakes. Author: James Bailey –James Bailey is an author, business owner, husband and father of two children. His vision is to broadcast the good news of Jesus Christ through blog sites and other media outlets. Next articleIs God Grieved With Unbelief In The Church?